Introducing RELOADS... A tuckless deck wrapped securely in cellophane. If you're anything like us the cards LIVE in your hands. You sometimes set them down at your desk, in your kitchen or in the bathroom. (Don't pretend that's just us.) Often in performance the tuck is discarded, or placed safely in your case while your deck takes on the inevitable damage of bends, slaps, crimps, sweat, sharpie and the sticky fingers of spectators. For cardists the tuck is actually a hinderance. One more first world problem to eliminate. Those seconds removing the deck from the tuck really add up. With RELOADS we help to streamline your EDC (every day carry), help the environment (by not printing tucks that can be reused) and provide a cost effective solution to your increasingly expensive passion. 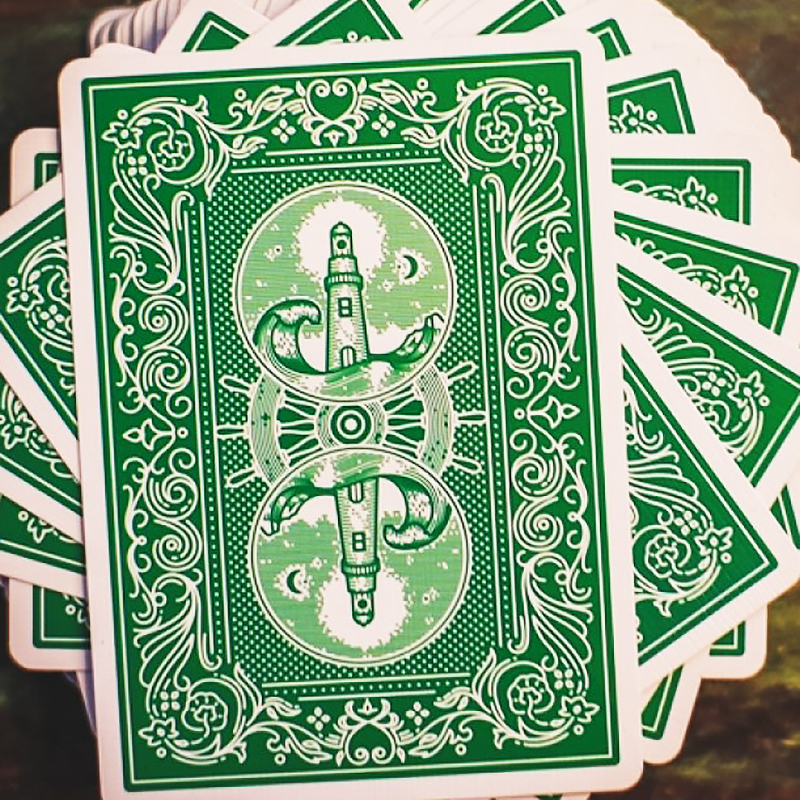 The first deck to introduce this concept is Sea Green Keepers. A maiden voyage deserves a skipper we can trust. Keepers are designed for workers, so Green Keeper RELOADS are perfect for those who hop from table to table destroying decks and giving away signed cards. Printed on Cartamundi's famed B9 stock for durability, these outlast any deck we've ever put it head-to-head against. RELOAD your playing card supply today. • Ellusionist quality. • The cards are poker size.